“Maintaining Oregon's air quality is crucial for protecting the health of Oregonians throughout the state,” said Secretary Richardson. "DEQ's tracking and inspections are insufficient. The agency must take immediate action to reduce their backlog and preserve the quality of Oregonians' health and the state's environment." The Clean Air Act and DEQ rules and guidelines establish timeframes for issuing new permits, renewing existing permits, and conducting inspections. Approximately 9% of permit renewals take more than five years and are actually issued after the point when the next renewal should have been done. Auditors found that 43% (106 out of 246) of DEQ's largest and most complex air quality permits are overdue for renewal. Some inspections are also overdue. Additionally, more than 40% of the most complex permits issued from 2007 to 2017 exceeded established timeframes—some by several years. •The air quality permitting process is not fully or consistently documented. When processes are not documented, controlling and improving them is challenging, making it difficult to find more efficient ways to issue permits. •Inadequate staffing is impairing the ability of DEQ to provide permitting services and is impacting their ability to perform critical investigations. Vacancies and position cuts create unmanageable and unrealistic workloads. Of 28 permit writing positions, seven (25%) were vacant as of August 2017. •Timekeeping data from 2015 to 2016 indicated that permit writers spent only an average of 49% of their time on permitting activities. •A lack of consistent guidance and support for staff slows the permitting process. Federal and state air quality rules are getting more complex, but permit writers are receiving less guidance and support from operational staff at DEQ headquarters. •Clear and accessible guidance to permit applicants is lacking, increasing the time permit writers spend on technical assistance. •Lack of adequate permit and inspection tracking. 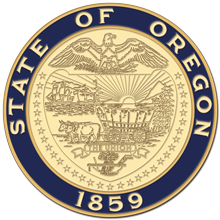 •DEQ has diverted key staff to other projects such as the Governor's Cleaner Air Oregon initiative. Air quality permit renewals incorporate new and updated federal and state rules. However, while DEQ evaluates permit renewals, businesses continue operating under their old permits. When permits are not renewed on time, businesses may not have to provide DEQ with data showing they are complying with these new rules. These delays create a “grey area” that is hard to enforce should a facility violate a new standard that is not yet incorporated into the permits. Combined with the current backlog of inspections, delayed permit issuance endangers the health of Oregonians and the state's environment. For example, there are approximately 150 auto body shops in the Portland area that opted out of a General ACDP permit which are still in need of a Basic ACDP seven years later. Some of these businesses have likely been emitting volatile organic compounds that contribute to smog for seven years due to DEQ's delays. Read the full audit on the Secretary of State's website or highlights on the Audits Division blog.